I will host office hours Tuesday December 13 from 5-7PM in PT463. Grades have been updated. Check to make sure all of your grades are entered correctly. The exam is on Thursday at 6PM. Be on time and bring ID. The following topics will not be covered: Machine learning, dynamic programming, amortized analysis, and approximation algorithms. There will be a tutorial on December 7 for homework 5 and additional NP-completeness material. There will be a tutorial on December 12 to help with homework 5 and final exam review. It is in SS-1083. Homework 5 is released, due December 13, 3:30PM. This is a hard deadline as solutions will be posted at 4PM to maximize the time you can study them before the exam. The final exam will take place December 15 6-9PM at BA-1180. The first floor of Bahen can be difficult to navigate so arrive early. Reminder: The midterm will be November 16, in-class. Follow the instructions here. Very important: be on time and bring ID. Homework 4 is released, due December 5 at 4PM. There will no longer be a tutorial following the lecture on November 9. I will host office hours 5-6PM on November 9 at PT463 and take extra time after the lecture November 14 for midterm review. The class on November 14 will no longer be a tutorial. It will be a lecture introducing machine learning. Grades are posted here. The leftmost column is the last 4 digits of your student number. Homework 3 released, due November 14. Solutions will be posted at 4:15PM so submissions even slightly late will not be accepted. Class meets every Monday 4pm-6pm at SF-1105 (map) and every Wednesday 6pm-8pm at MC-254 (map). Here is the detailed course information handout [PDF]. This is a quick description . Problem sets will be addressed in tutorials. Check with the newsgroup for tutorial dates and problems solved. Attempt these problems before hand. Other class handouts are released here as well. Splay Trees [PS] / [PDF]. Greedy Algorithms [PS] / [PDF]. Homeworks can be long and challenging. Have your questions prepared for the weekly tutorials. No late homeworks will be accepted. Credit of each homework (for overall homework weight) is shown in parentheses. You can submit homeworks either in class or to the drop box labeled ECE 1762 in Sandford Fleming down the hall from the ECE undergraduate office (the corridor that connects SF to Galbraith) before the deadline. Homeworks are to be done in pairs. 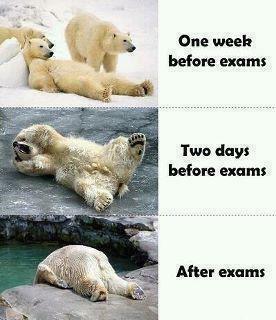 Exams consist of few problems similar to those found in homeworks and tutorials. Midterm will take place on Wednesday November 16 in class, at 6-8:30pm. It will cover all material that we did from beginning of class, up to and including amortized analysis. Roughly speaking, this includes all background material, heaps, sorting/searching, hashing, BSTs/RBTs, Greedy, Dynamic, amortized analysis. Exam will start exactly at 6:10pm and it will be 100 minutes. Be at your room by 6pm sharp and do not be late. No extensions will be given. You will NEED have some kind of PHOTO ID (UofT, driver's license, passport, etc), otherwise you will not be able to take the exam. You are allowed to bring your textbook (print form if e-book), lecture notes, your personal lecture notes, the handouts we have given to you. Nothing else is permitted. at a corner of the room before the exam starts. TURN OFF your cell phone before you leave it away. attend tutorials with your questions. Sleep well!